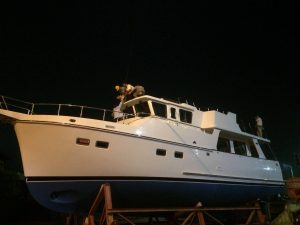 Selene 4942 is on her way… She left the shipyard at night and was delivered to the Sa Tien International Wharf. A new life is starting for this beautiful vessel and the proud and happy owner. 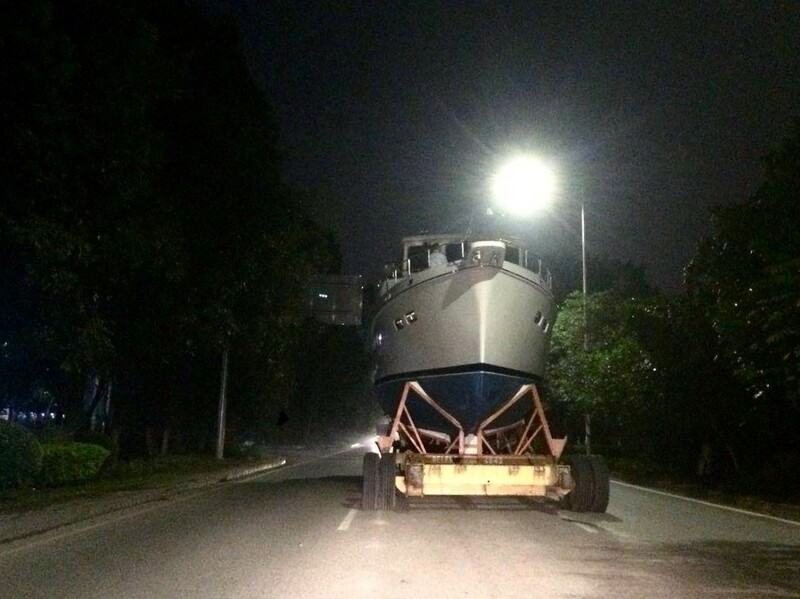 It’s always exciting for the neighbors to admire such a big boat on wheels roaming the streets of Dongguan… The Selene Yachts technicians still have to install the hard-top, the radar tree and drapes around the exterior for the long voyage on a freight-carrier to the first port of call across the ocean. The Selene 49 Ocean Yacht is an evolution of the popular Selene 47. It features the Deep-Hull™ design and Cruiser Stern™, which improves headroom in the engine room and lazarette and makes the hull even more efficient than its predecessor. The Selene 49 has a traditional « salty » look from the outside. Another significant difference is a wider flybridge giving space for entertaining friends and family with style in the open air, with ample room on the aft deck for a dinghy and hydraulic crane. The flybridge layout with either a canvas cover or a hard-top includes an L-shaped settee and table and a bar with sink and BBQ. The longer LOA of the Selene 49 translates to an 8” increase in the cockpit and 4” more in the salon. The living space is large and spacious for the long cruising days. The salon is luxuriously finished in teak. The two or three-stateroom accommodations below are spacious, due to the full hull sections forward. The master stateroom has a queen-size island berth with teak and holly steps on both sides, plus two large cedar-lined hanging lockers. 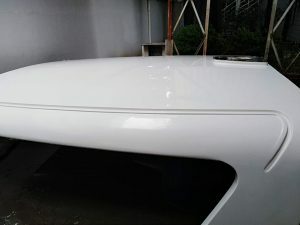 Another world ready Selene 49!